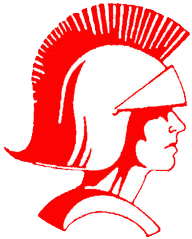 Connersville Junior Varsity started off against the Trojans decent. At the end of the first quarter, the score was 14-10, as the Spartans were trailing 4. By half time, the Trojans continued to lead 23-16. Gianna Struewing led the Spartans scoring 9 of her 11 points in the first half. Starting the second half, the Spartans attempted to make a run behind Junior Sharon Usher, who scored eight of her nine points in the third quarter. Another small run was made in the fourth quarter with the help of Miranda, who scored 5 of her 9 points in the fourth quarter. However, those runs were not good enough to defeat the Trojans. The Spartans went on to lose the game 46-34.